Custom Dealership License Plate Frames | Camisasca Automotive Manufacturing, Inc. The quality your dealership brand deserves. PRECISION LASER ETCHED dealership information will never fade or yellow, preserving the integrity of your brand image. DEALERSHIP WHOLESALE PRICING and low minimum order quantities make stainless steel the best value in dealership branding. Our frames were designed with the responsible dealership in mind. We offer frame styles that meet DMV requirements in all 50 states. 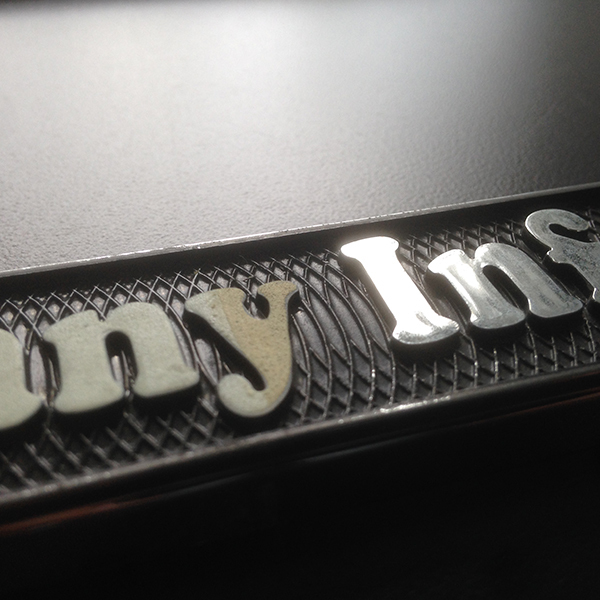 Dealership information is laser etched into the stainless steel or powder coat and will never degrade.